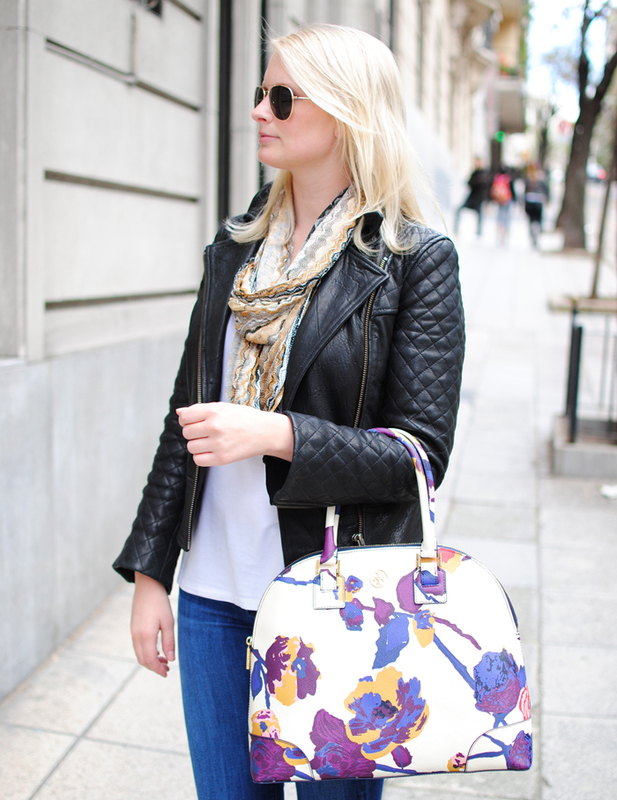 Here’s my first outfit post from Buenos Aires! Having walked right off the plane to stroll around the city, I opted for a comfortable look. Jeans, a tank and a scarf to start and topped it off with a heavy leather jacket from All Saints. We did quite a bit of walking so I chose my most comfortable Steve Madden smoking slippers for the day. 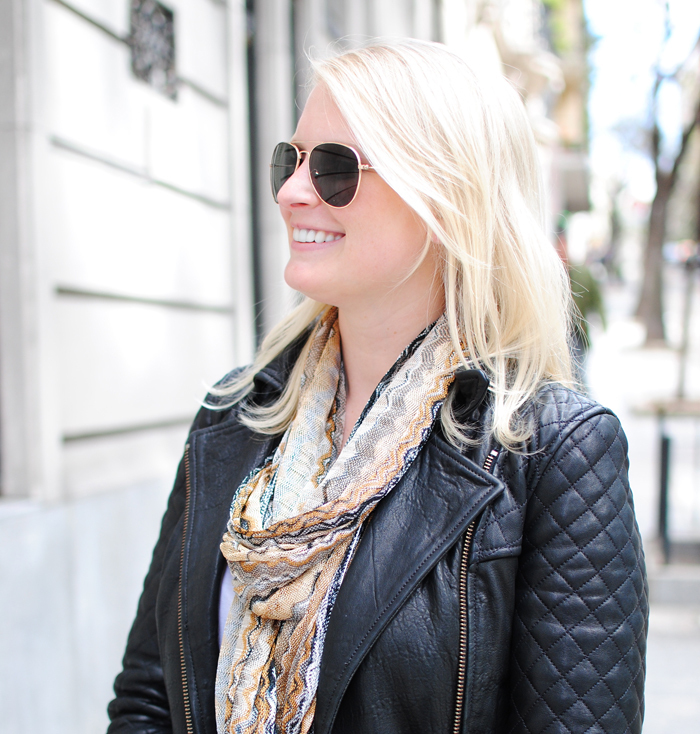 It’s VERY chilly in BA right now so the All Saints jacket has been a staple on this trip – I love the weather here!!! OHHHH. MMMM. GEEEEE. want that leather jacket. you’ve paired it perfectly with casual jeans & leopard slippers. LOVE this inspiration. great for travel & weekend wear. hope youre enjoying your time in buenos aires. dying to take a mini vacation right now. your pictures from the embassy were absolutely gorgeous, love that they had texas roots too :) can’t wait to follow your travels! that leather jacket is everything I’ve been searching for in a jacket, and then some. ahhhh so dreamy! !